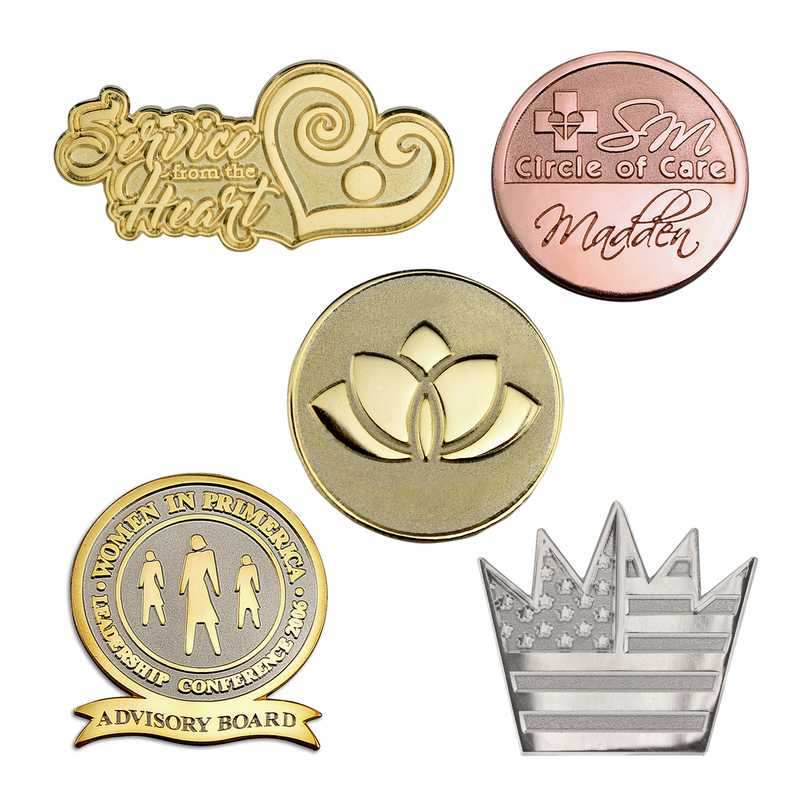 Die-struck, sandblast and polished finish lapel pins Include a custom shape on tarnish-resistant brass base material. Choose from a variety of finishes, including gold tone, nickel or copper finish. One soft enamel color included, with free PMS color match. Butterfly or rubber clutch included. * Add optional synthetic jewels to designate recognition or donor levels or for a higher perceived value. Die Service Charge on 1st column only.